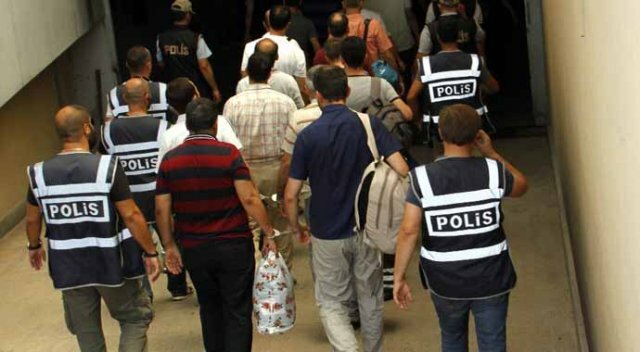 Forty-seven people including military officers and a deputy governor were arrested in separate operations targeting the faith-based Gülen movement in İstanbul and Ankara on Thursday. Twenty-seven people, among them military officers and pilots from the Akıncı 4th Air Base, were arrested as part of an investigation carried out by the Ankara Chief Public Prosecutor’s Office. They are accused of being linked to the Gülen movement and taking part in a failed military coup on July 15. In İstanbul 20 individuals including military officers and a deputy governor were arrested on charges of establishing a terror organization and membership in a terror organization. More than 100,000 people have been purged from state bodies and 32,000 arrested since the coup attempt. Arrestees include journalists, judges, prosecutors, police and military officers, academics, governors and even a comedian. This article originally appeared in Turkish Minute.